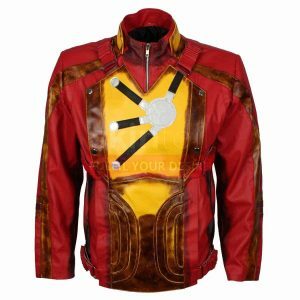 This cool dragon jacket is a replica of one of the 2016 blockbuster movies “The Suicide Squad”. 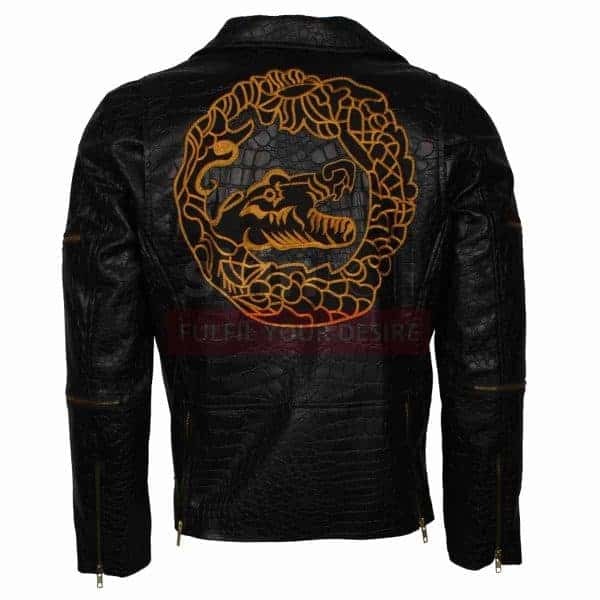 Owned and worn in the movie by the character named Waylon Jones more commonly known by the name Killer Croc. 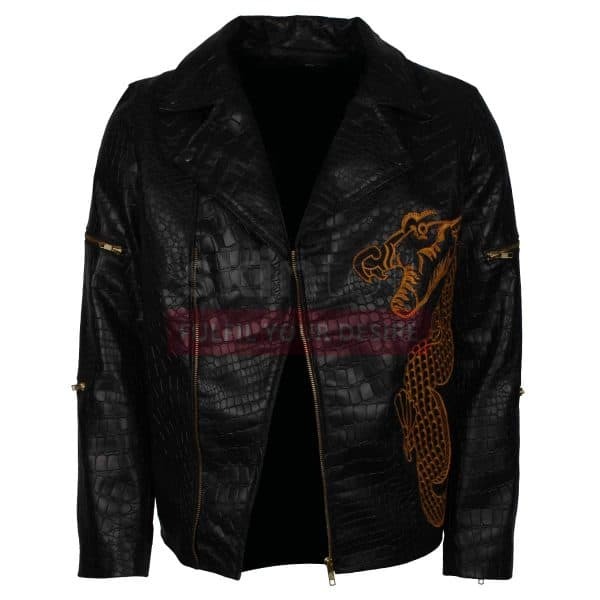 Therefore, this leather jacket features a very cool and eye-catching appearance. 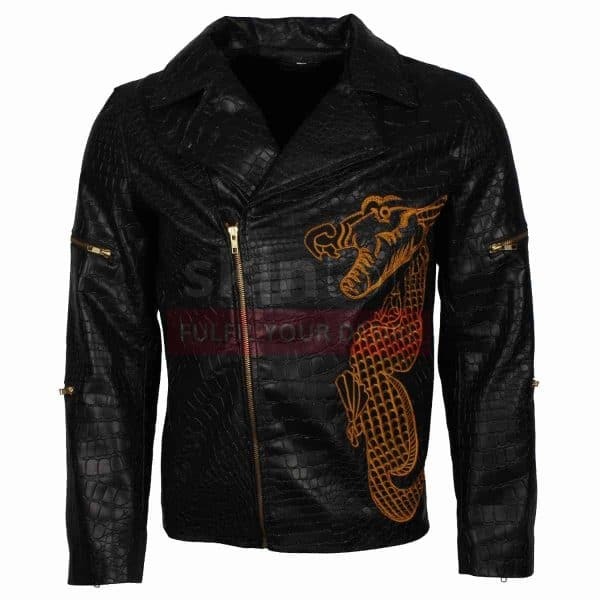 Hence, dragon design just adds attitude to your personality make people look at you twice. 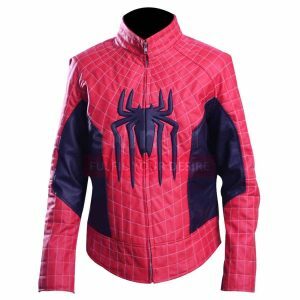 This dynamic leather jacket is a true example of fashion with ease. 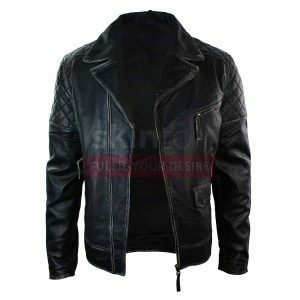 The soft internal lining makes this stylish leather jacket a comfortable wear for all the men out there. 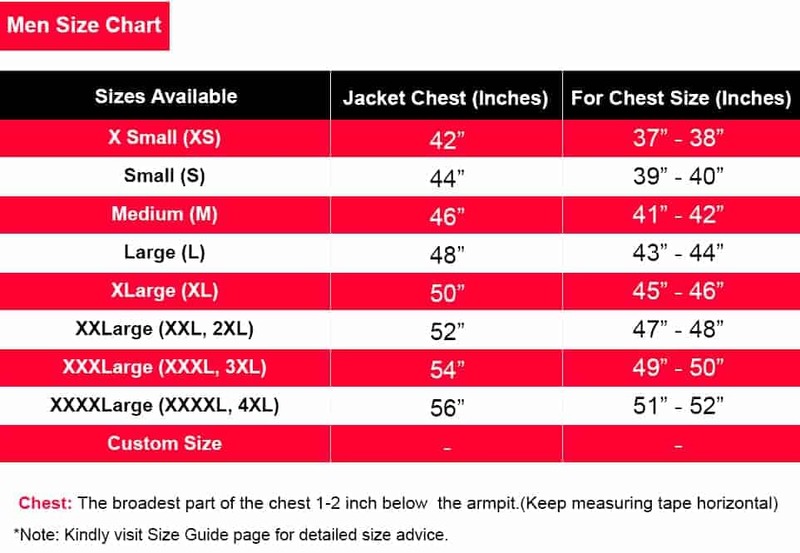 The zipper offset closure with the design at the side of the jacket gives a nice and stylish look. 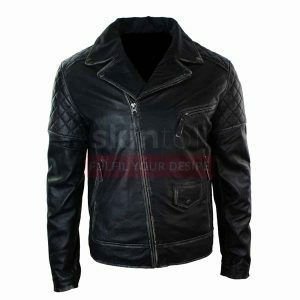 Therefore, this Black colored Brando Style leather jacket is an ideal fashion choice. 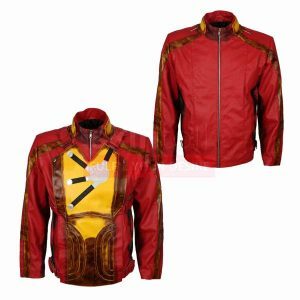 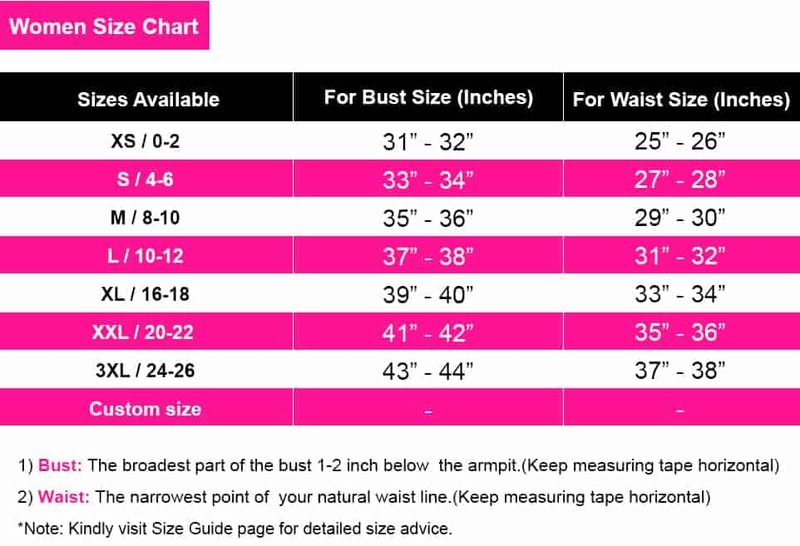 So, shop now to get this beautiful jacket with fine quality at the best possible price in the market.